For £64.80-114.60 for either a years individual to family membership gets you into over 500 different places including some of the greatest gardens in the uk like Mottisfont Abbey Gardens, Powis castle, Sissinghurst, Hidcote, Stourhead Just to name a few not only the gardens but the houses and estates too. Also gives you a chance to wander about the countryside owned by the National Trust. Free car parking in most car parks, free hand book, magazine every 4 months makes it all great value for month. Details here. For Scotland, there is a separate National Trust for Scotland that covers all the sites above the border and more details can be found here. 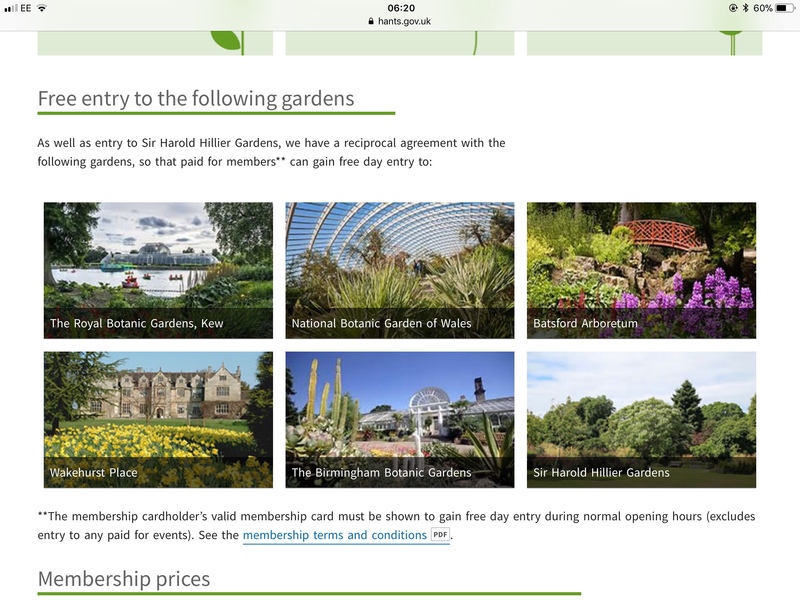 There are lots of other friends and membership schemes for private gardens around the country, too many for me to list, these cover the garden or a couple of gardens, why not search for that garden local to the person you are buying for and treat them for a year.